How to Create your Own Altcoin & Cryptocurrency? In the recent years, cryptocurrency drastic rise in value has stoked a large amount of public interest in crypto coins and altcoins which are constantly being created every day. Currently, there are many virtual currencies in existence and that’s mainly due to the presence of dedicated virtual currency creation services present in the market. 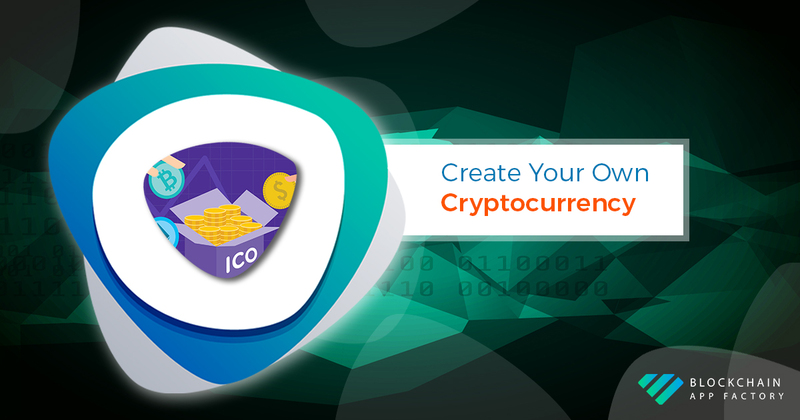 The likes of coin creator, wallet builder, and CryptoLife assists us in carrying out the technical work unless the coin creator does not have a clear set of interest and commitment, the customer is bound to fail in this task eventually. So, if you are planning to create your own cryptocurrency, you should be wise enough to follow these steps. You will have a number of options available for customizing your own coin to make it stand out. You will be able to choose the number of miners or minters based on the earnings according to proof of work/proof of stake rewards. Additional options such as choice of the block size, maximum coin supply and the rate of issuing new coins will always be under your control. Launch your own version of cryptocurrency with a secure blockchain that will protect your data from external fraudulent attacks/errors such as double spending. Unrestricted access to a number of features such as built-in decentralized exchanges that will allow people to trade their cryptocurrencies for digital assets. Since one doesn’t have to go through the long process of coding and developing, it will save a lot of time on your end. After you figure out the above steps, here are a few more tips that will assist you in moving further. It’s utter negligence, to expect people to accept your crypto coins immediately when you launch it. Focus on finding the unique selling proposition of your coin and how it will match with the community’s needs and address the reasons why your new cryptocurrency must exist and then proceed to your coding part. As mentioned earlier, you can use either of the aforementioned methods to launch your cryptocurrency. But given an option, you can always self-code. However, you must be aware of the choice of your language in advance before heading to the development part. Instead of explaining a concept to your target consumers, you can create a prototype for consumer’s approval. This will help the consumers and the community members to have a better clarity on your concept. As soon as the development part of your coin is done, you will require miners. Instead of overselling your cryptocurrency to them, you can build their trust, express the vision and share the intentions of your coin. In this way, your miners will have an honest understanding of your idea which will make them stay as loyal customers for a longer time. Put yourself in a hacker’s place and try to search for loopholes and downfalls of your cryptocurrency. This will help you in strengthening your security of the framework. As the cryptocurrency fever rises every year, several entrepreneurs and industry leaders have started releasing their own cryptocurrency. However, it should be known that most of these coins get discarded or crashed due to numerous reasons. But in reality, most of the big names in the cryptocurrency market are all heading for sustainability rather immediate profitability. If you have any further queries regarding create your own cryptocurrency. How to Build a Cryptocurrency Exchange and How Much It Would Cost? Make Your Own Cryptocurrency with these Hacks !